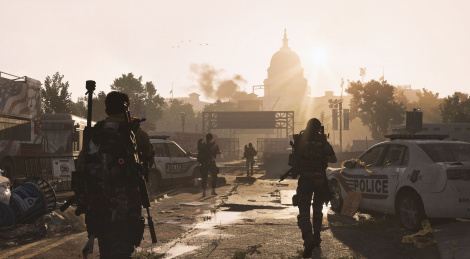 E3 is now finally started, and Tom Clancy's The Division 2 is quite a way to get started, with images, trailer and even gameplay! Update: Added 4K versions of the gameplay, captured by ourselves directly at Microsoft's conference. The black level on the gameplay video is wrong. I really enjoyed the first one a great deal once they fixed it. Me and my bud put in a ton of quality hours on this so I’m very excited for another go. Yes!!! One of my most wanted... and it looks insane!!! Can‘t wait to run this on my PC in native 4K :-)!!! Thank you so much for the videos, the quality of the live stream was terrible!! Blame it on whoever was in charge of encoding the video at the Ubisoft marketing department. This looks really great, never really got into the first one for some reason, but this looks to have much more varied environments and improved gameplay and tactics. I hope they do more with the story this time around, first one's was lacking a lot. 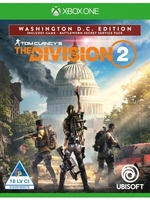 I like the idea of The Division a lot but I'm not a fan of this kind of sticky cover shooter. I definitely wanna try it just to see the map. Playing the first one now since I picked it up for 4 quid and it’s super boring to play. The city is almost pointless. You don’t see other players, you don’t do any meaningful missions within it (missions take place in buildings) there aren’t any spawning mobs like in an MMO to grind exp... and so it only serves as a thing to slowly run across getting from point A to B. It looks really nice, but there’s nothing meaningful to do in it besides typical collectathon uni open world stuff. The usual Tom Clancy style storyline doesn’t help either. The second has a lot of work to do be worthwhile imo, but even then I won’t be buying it full price. Did you do dark zone stuff? That's sorta most of it. Its also super broken in there, or that's what everyone says who have played it since day 1. something to do with unpunished exploits and unbalanced equipment...I dunno. So I'm sticking to the "story" co-op/bullet sponge AI stuff. Probably won't be finishing it though...as I say, It's pretty tedious stuff. You are sooooo not a good person to review this type of game lol. It’s fine if it’s not your thing but for fans of this genre it’s actually a very cool and deep looting leveling experience. Played with a couple good friends and it is very fun. Like people say to themselves "you know what this open world needs...less stuff to do in it. It needs to feel MORE pointless, that would make the game perfect"? You can NOT just waltz in the Dark Zone alone and hope to have a happy productive time. Other players will kill you for your gear, and the ips will kill you on the spot for sport. You need to go 4 deep in the dark zone, and you better have some high end weapons and gear!